If you have ever been to Sturgis, South Dakota, you have no doubt noticed the lone mountain to the northeast on the horizon. This is Bear Butte, a place considered sacred by the American Indians of the Northern Great Plains, with human artifacts being found here dating back over 10,000 years. As with many sacred places of the American Indian, Bear Butte is surrounded in legend. While there are several variations of the story, the Lakota Sioux, who are indigenous to the region, tell the tale of two boys. The boys were playing in a field when they caught the attention of a huge bear named Mato (the Lakota word for bear). The bear chased the boys onto a large rock. The frightened boys prayed to the creator, Wakan Tanka. The god took pity on the boys and raised rock from the earth toward the heavens into a tall tower the bear could not climb. When the bear tried to pursue the boys, he left huge scratch marks down the sides of the rock tower. The boys were rescued from the top of the tower by an eagle named Wanblee, and carried to safety. The exhausted and frustrated bear walked off in his defeat, and laid down to rest and sulk at Mato Paha, or Bear Mountain — now Bear Butte. Today, the rock tower is known as Devil’s Tower and is located in eastern Wyoming, just north of Sundance. In progression to the modern day, the area has come under scrutiny time and time again. In 1857, the Lakota held a council at Bear Butte to determine what to do about the growing presence of white settlers, primarily gold miners, that were coming into the Black Hills. Fast forward to 1874, when the famed General Custer led the Black Hills Expedition from Fort Abraham. The expedition was in violation of the Fort Laramie Treaty of 1868, however, the lust for gold (not to mention Custer’s infamous character) led settlers and prospectors to the area in a frenzied gold rush. While the Lakota people believe that no one should own the land, it came to be that during the 1940’s settlement era of the Dakota Territory, Mr. Ezra Bovee settled on the southern slope of the butte. Soon after, Northern Cheyenne leaders approached Bovee, requesting permission to hold a prayer ceremony dedicated to ending World War II. Bovee granted permission and welcomed other tribes to the site. Throughout the 1950’s, Bovee generated interest in the site and attempted to have the area designated as a National Park. When the federal government lost interest in the project, the state of South Dakota stepped in, declaring Bear Butte an official State Park in 1961. 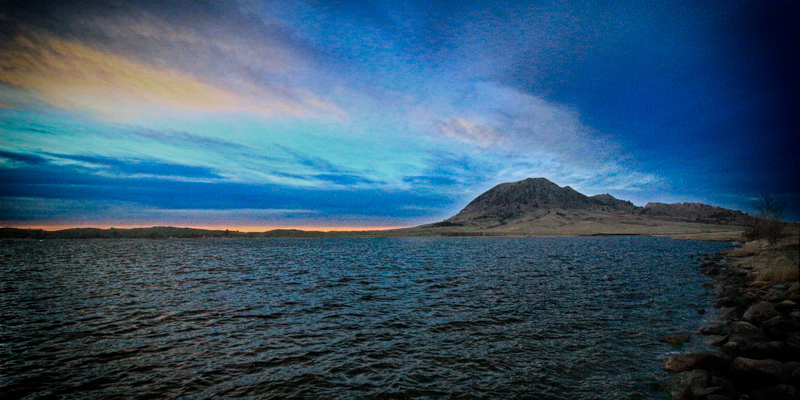 Bear Butte became a National Historic Site in 1965. Today, the region is still considered sacred by American Indians, and they often visit the site to perform prayer ceremonies. Prayer ties filled with tobacco as an offering to the Great Spirit in exchange for blessings are found hanging on branches in the area. As a sign of respect, visitors are asked to leave the bundles undisturbed, and to refrain from making loud noises, playing music, or bringing pets onto the site. From the pinnacle of the Summit Trail, at the elevation of 4,426 feet, four states can be seen. For more information on visiting Bear Butte State Park and the Bear Butte Education Center, visit http://gfp.sd.gov/state-parks/directory/bear-butte/. There are several other museums in the area as well as numerous other recreational trails. Guest Post. Submit an Article.